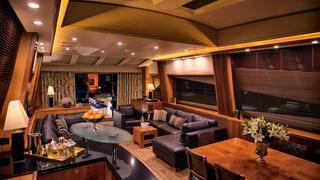 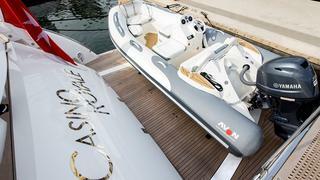 Like James Bond himself, there is only really one word that can be used to sum up the 33m (107'11) Casino Royale – cool. 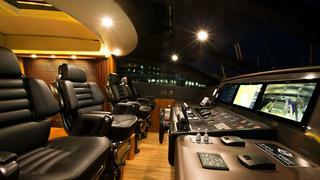 Oozing sophistication and suave, this luxury Sunseeker Predator is in a class of her own. 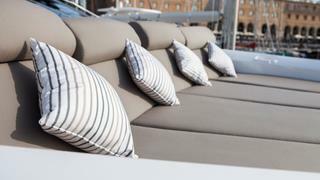 In keeping with Sunseeker’s iconic styling, Casino Royale sports a navy blue, beautifully proportioned hull, and sweeping windows. 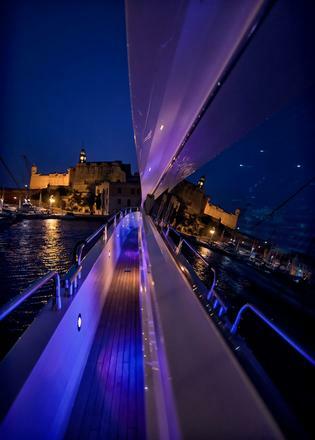 Delivered in 2004, refitted in 2016, and featured in the 2006 James Bond film, she was built to offer guests a true James Bond experience. 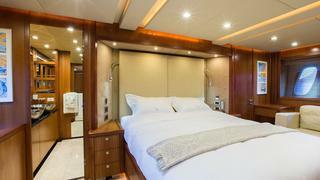 Her opulent open plan saloon boasts features and fittings you might only expect to see on a larger yacht, thanks to her nine-foot headroom, which is rare on a superyacht of her size. 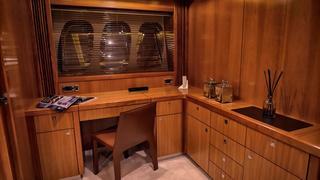 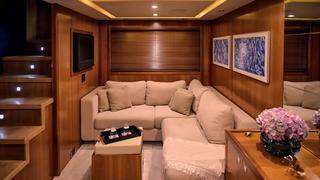 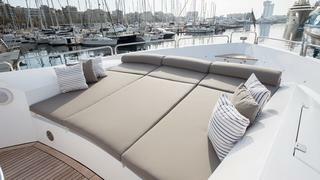 Immaculate and pristine, the main saloon is furnished with warm woods and neutral undertones. 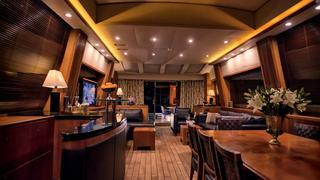 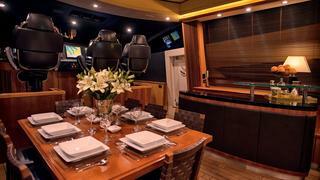 Aft of the main deck is a sumptuous lounging area and forward situated close to the galley, is a dining area and a bar allowing for efficient service from the crew of four. 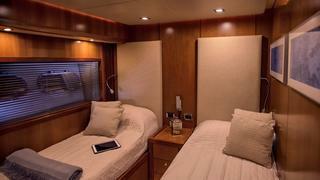 Her lower deck is dedicated entirely to the guest accommodation. 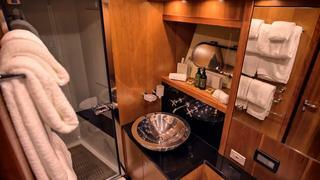 Sleeping eight guests in four elegant cabins, each stateroom has its own ensuite marble bathroom and TV. 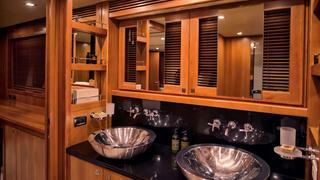 Her master suite, space that manifests the finest leather, marble and fabrics, comprises a master study, a bathroom with a full-size bathtub and shower, and a walk-in wardrobe. 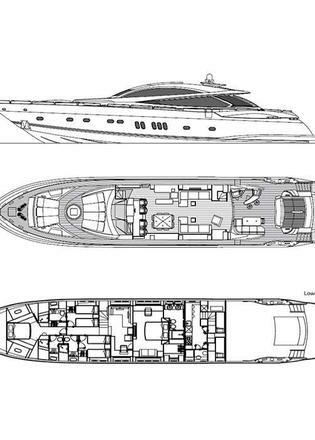 Her minimal superstructure and narrow hull mean that she is graceful and agile in the water, with triple 16 cylinder MTU V16 2000 with Arneson drives powering her to a maximum speed of 45 knots. 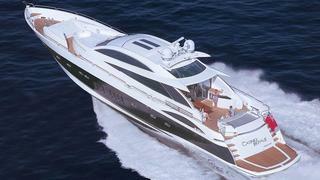 Speed, luxury and sophistication on a grand scale, Casino Royale was built for fast cruising in style. 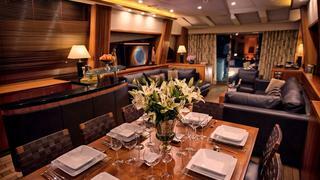 Her impressive entertainment and leisure facilities include a plethora of water toys such as a paddleboard, water skis, diving equipment and a banana, making her an ideal charter option for family and friends.